To no one's surprise, I'm sure, there are lots of different ways to do the same thing on the web. Shape morphing, being a thing on the web, is no different. There are some native technologies, some libraries that leverage those, and some libraries that do things all on their own. Let's look at some of the options (with demos) and weigh the advantages and disadvantages. The original, native technology for shape morphing is SMIL. We have both a guide to SMIL on CSS-Tricks, and an article talking about replacements for it, since it doesn't work in Microsoft browsers and Blink threatened to yank it at one point. I wouldn't suggest doing important work in SMIL but it is OG shape morphing. Our article How SVG Shape Morphing Works covers SMIL shape morphing in detail, and the demo above is from Noah Blon's An Intro to SVG Animation with SMIL. MorphSVGPlugin is a bonus plugin for Club GreenSock members ("Shockingly Green" and "Business Green" levels). It's our way of showing our gratitude to those who are fueling innovation at GreenSock. Worth it. Just MorphSVG alone is amazing. Unlike almost any other shape morphing method, it can tween between shapes of any number of points. It does so performantly, in a safe cross-browser fashion, and gives you more fine grain control over how the animation goes down. See the Pen Morphing SVG Slider - 20th Century Women by Sullivan Nolan (@nolakat) on CodePen. See the Pen Morph Machine by Chris Coyier (@chriscoyier) on CodePen. If you're a user of Adobe Muse, you might be interested in the Muse Morph widget which combines Illustrator, Muse, and Greensock MorphSVG. 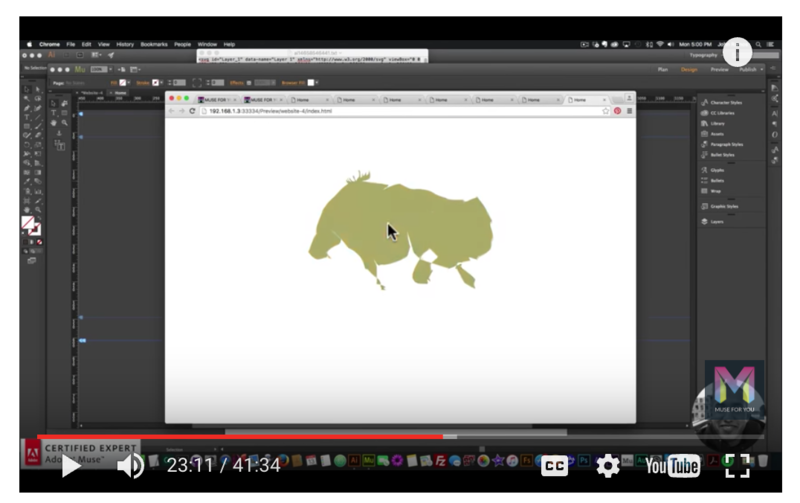 The newer anime.js library has shape morphing built in. 'd' has become a presentation attribute. This allows SVG path elements to be animated using CSS animations and Web Animations, with path('...') keyframes. See the Pen Simple Path Examples by Chris Coyier (@chriscoyier) on CodePen. See the Pen Mobiltelefonens Evolution (SVG Shape Morphing) by Noel Delgado (@noeldelgado) on CodePen. There is an SVG plugin for Kute.js that allows for the animation of SVG properties, including shape morphing. See the Pen Morph SVG with KUTE.js by thednp (@thednp) on CodePen. The API gives you some control over the morphing, like how precise you want it to be and the ability to reverse the draw direction so different points match up to tween. See the Pen Mole :: property curves example by LegoMushroom (@sol0mka) on CodePen. See the Pen svg jou jou monster by kittons (@airnan) on CodePen. Great comparisons. Funny enough, I just posted a few days ago on my own blog about moving from CSS shape-driven hamburger menus to SVG. I settled on using Morpheus to animate the transition from the hamburger to the X. If anyone has any feature requests or suggestions on how to improve the tool, file something on GitHub! It’s still a work in progress and I’m open to pretty much anything! I should also mention that I just published an update to Shape Shifter that will make the web app more useful for web developers. 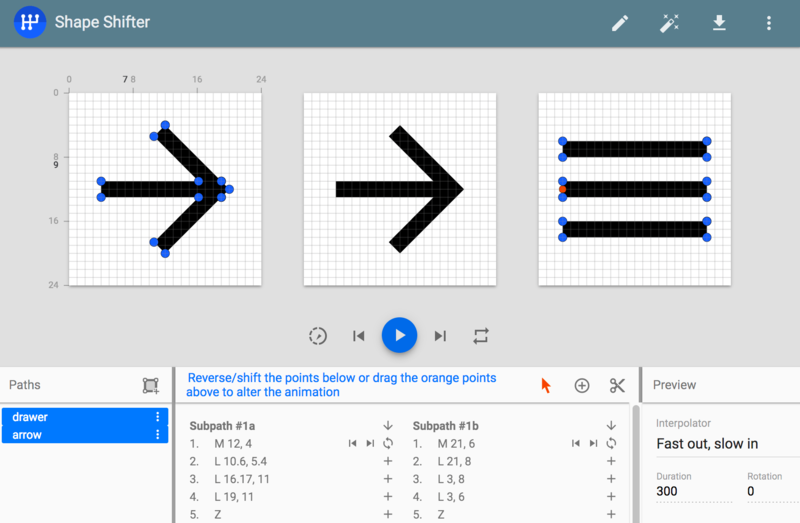 In addition to AnimatedVectorDrawable format for Android, Shape Shifter now also export the final result as both (1) an SVG spritesheet (30fps/60fps) and (2) a CSS keyframe animation.